I've gotten this really bad habit of buying new knitting needles every time I do a new project. This means that I have several of certain sizes. Surprisingly though, I have fewer needles than expected. 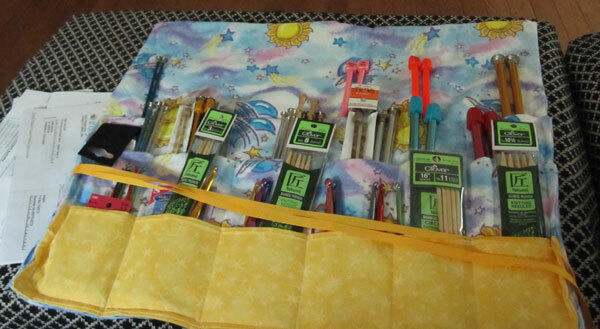 Today, I made myself a caddy for my knitting needles/crochet hooks. I'm quite pleased. I'm also quite pleased with my sewing machine and the fact that I can sew through 8 layers of fabric without it complaining. 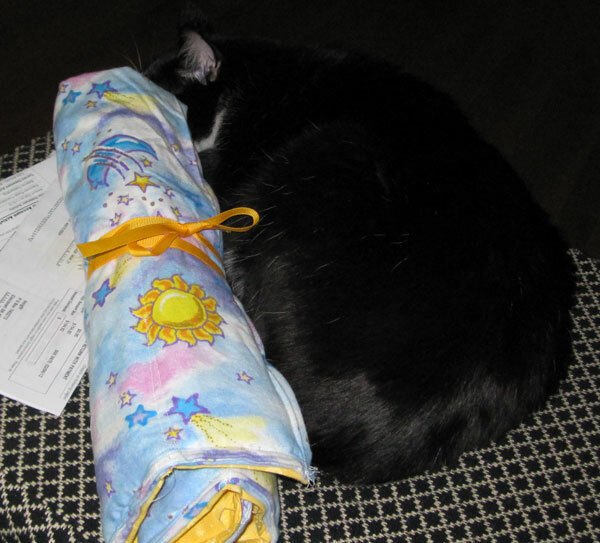 And here it is all rolled up, with a Moe beside it. It was a quick project, using fabric from my stash. Yay for not having to purchase fabric!